And yes, the link to the column that runs Tuesdays is late. The blog has been on hiatus, while we switch to new software, something that also let me take a little break from the blogging grind. Hopefully normal programming will now resume, but please bear with us while we update the behind the scenes blog infrastucture. 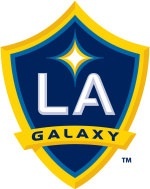 Incidentally, the Galaxy announced today that they are so far restricting ticket sales to the lower bowl of Home Depot Center, which holds about 20,000, despite the lack of a “hard cap” on attendance. The Galaxy often restricts the capacity of midweek games while school is in session as part of an agreement with Cal State Dominguez Hills. In another effort to reduce disruption to the neighborhood around the stadium, the club will provide fans with free shuttles and parking at the South Bay Pavilion mall, 2700 Avalon Blvd. Buses will run from 4:30 p.m. until 11 p.m.
Tickets to the game, by the way, start at $30. Complete gameday information is here. Welcome back, Nick! Back just in time for the playoffs to start, tho as you say in the column, that may not last long for the G’s. Nobody in the West closed the season well, so they’re in good company. Hard to get excited, just hoping not to lose.